We are definitely not ready for the baby. Over the weekend, while Krister installed new baseboards in the living room, Kristin went upstairs to prepare the baby’s room for a fresh coat of (not pink) paint. Moments later, Kristin went back downstairs and said she couldn’t paint. But why? Sure, it’s a beautiful wallpaper with boy-appropriate sailboats on it. Unfortunately, it’s covered with pink paint. 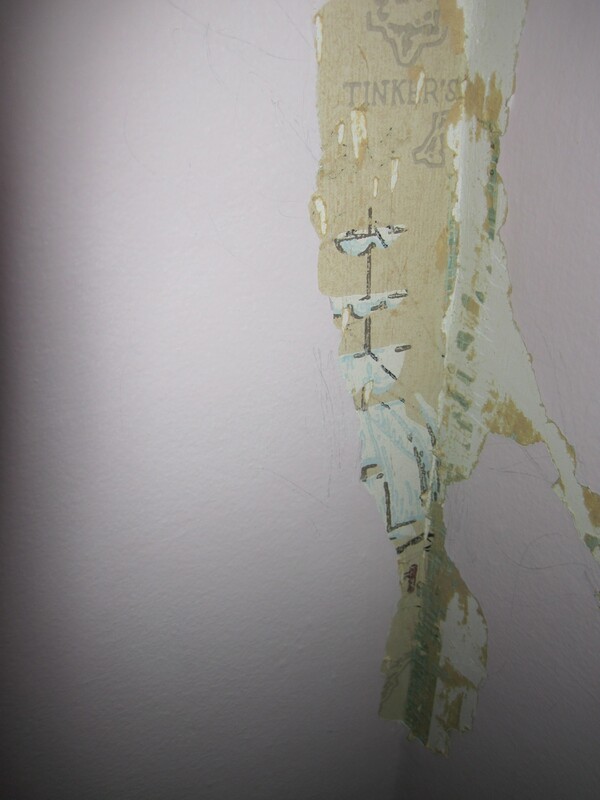 When Kristin went to prep the walls, she discovered that the previously painted wallpaper was beginning to bubble up. That left only one solution: strip the wallpaper. 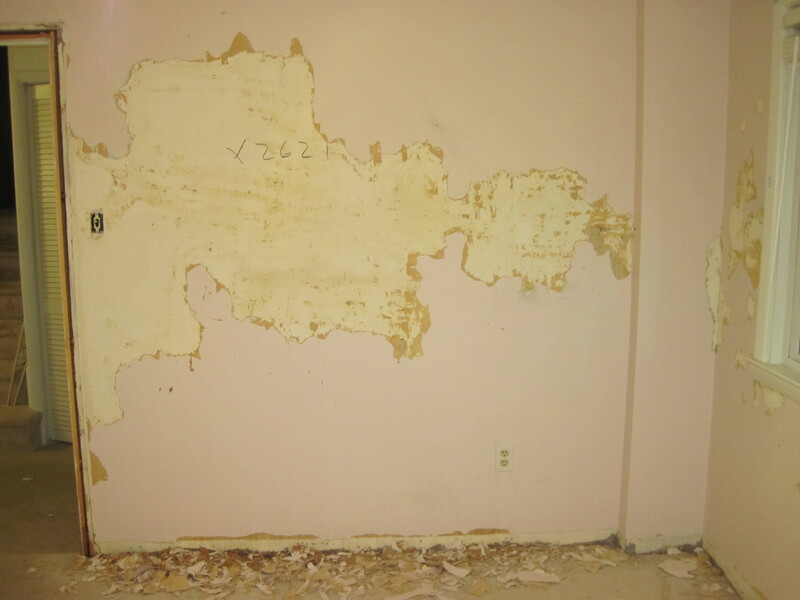 We started stripping this weekend, which has resulted in a huge mess and minimal progress. The good news is that we didn’t need to use any harsh chemicals. We found a great internet tip: a spoonful of fabric softener plus a quart of warm water. The baby’s room smells great and spraying the watered-down fabric softener really works! We only spent a couple hours on the project to remove all that wallpaper. Hopefully next weekend, we’ll make more progress!